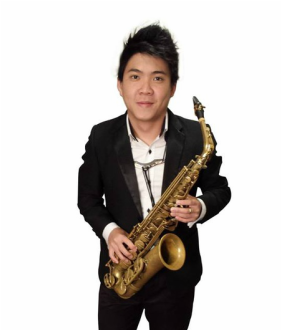 Jefferson Yap is one of the most prolific saxophonists in Singapore and is well-known for his vast experience in saxophone education. He coaches the saxophone sections of Singapore’s top school bands, and is currently the principal saxophonist of Windstars Ensemble. Jefferson is a jazz, classical and pop saxophonist who has worked with many prominent conductors, playing as a guest soloist with bands/orchestras on many occasions. He is highly sought after as a teacher and performer. Tan Yan Zhang is a Singaporean pianist, composer & conductor. He holds an ABRSM Associate Diploma (2011) in piano performance and has made many stage appearances, both solo and as an accompanist. Frequently invited to compose/arrange pieces for numerous music groups and events, Tan's compositions and arrangements have been commissioned & performed widely by many ensembles such as the Fairfield Symphonic Band, the Mus'Art Wind Orchestra, the Philharmonic Winds, the Singapore Armed Forces Bands, and many more. He studied harmony, counterpoint and direction with Mr Tan Chan Boon and currently studies with cultural medallion recipient Dr Kelly Tang. Joseph Lim (left), possessing an insatiable appetite for all things musical, is a pianist, saxophonist and a budding composer. 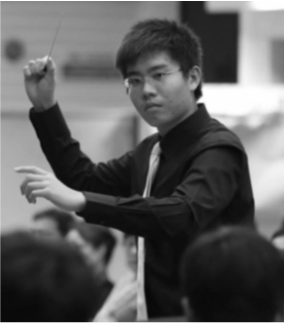 A 2012 IB graduate from ACS(I), he undertook the rigorous Music (HL) course under Mr Benjamin Lim Yi, the resident composer of the Teng Ensemble. 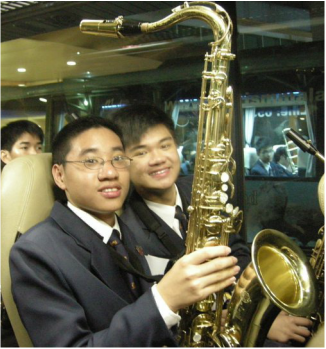 A successful product of the ACS(I) Band programme, he has since arranged and composed for the ACS(I) Saxophone Quartet, Singapore Community Saxophone Ensemble and the ITE (College West) Saxophone Ensemble. He holds a A(Mus)TCL in Music Theory. Joseph is currently studying harmony and composition under Cultural Medallion Recipient, Mr Phoon Yew Tien, and will be pursuing his music studies in King's College London. Chang Chern Hao encapsulates vibrancy, robustness and musicality as a young multi-instrumentalist. Boasting strong musical fundamentals, he achieved Grade 8 and Grade 5 Distinctions on the Piano and Clarinet respectively. An active bandsman, he was specially selected to attend the Music Talent Development Centre (MTDC) where he further developed his saxophone prowess. He is currently the Band Major of Anglo-Chinese School (Independent) Symphonic Band and the Section Leader of its Saxophone Section. 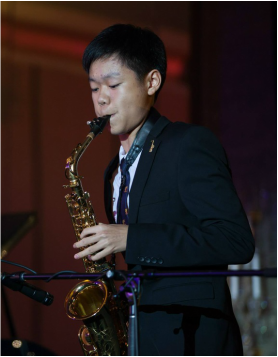 At present, he is studying saxophone performance under Mr Jefferson Yap and is a Music-Elective Programme (MEP) student.